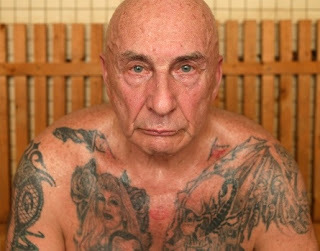 New York's most notorious Russian mobster Boris Nayfeld wants to go back to the motherland. Once rich from heroin trafficking, tax fraud and other schemes, Boris Nayfeld, 70, is fresh out of prison for the third time, divorced and broke. "I can't do nothing" Nayfeld said in a thick Russian accent between shots of vodka. 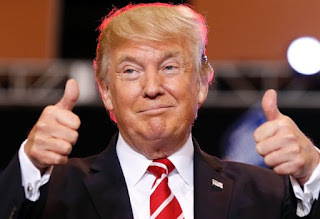 But he is not allowed to leave, he is still facing three years' probation from his latest prison term, which ended in October, a two-year stint in a murder-for-hire plot. 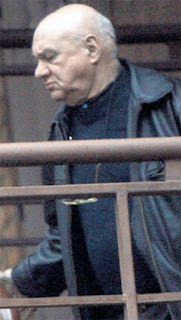 Nayfeld was dubbed an "organizer, enforcer and narcotics distributor" for the Russian mafia in a 1997 U.S. Customs intelligence report. Nayfeld first came to the U.S. from Belarus in the late 1970s with a wave of Jewish emigres from the former Soviet Union who said they were fleeing religious persecution. Nayfeld wasn't religious, he got into crime as soon as he arrived. Nayfeld, also known as Biba, has been convicted of fraud, tobacco smuggling and shipping heroin stashed in TVs. He has threatened to kill rivals and escaped one attempt on his life when a bomb placed under his car failed to detonate. He was at the scene when feared Russian godfather Evsei Agron was assassinated. 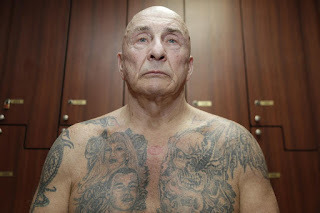 After Agron was killed, Nayfeld served as a bodyguard and chauffer for the next don of the Russian mob, Marat Balagula. Nayfeld has no regrets. "Never. No. When I'm born again, I do it the same," he said. Russian criminals today run a range of enterprises throughout New York, including moneymaking Medicaid and credit card fraud rings, as well as traditional protection rackets, gambling and prostitution operations. 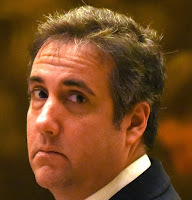 Balagula maintained an office at the El Caribe Country Club, a Brooklyn catering hall and event space owned by the uncle of President Donald Trump's longtime personal lawyer, Michael Cohen.